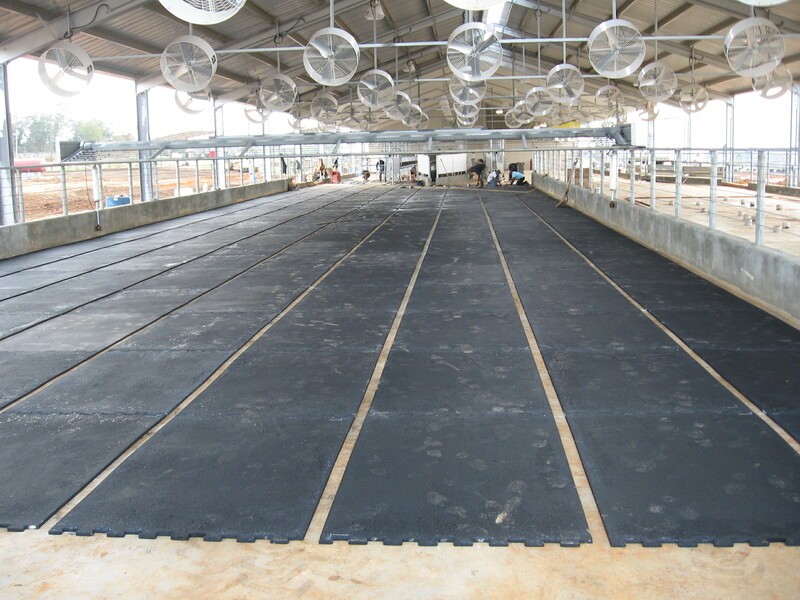 After more than 35 years of research and development, Animat continues to seek ways to improve cow comfort and productivity by producing the highest quality rubber flooring. 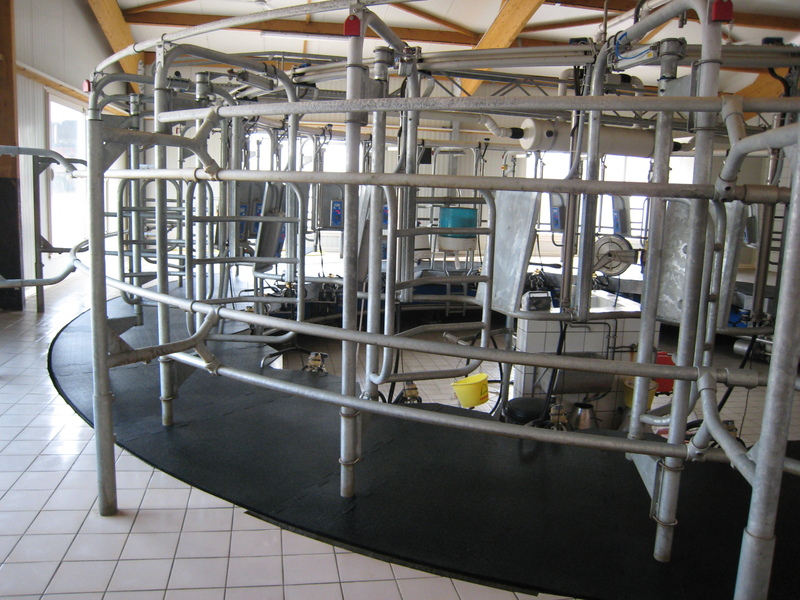 Over the years, Animat has invested millions of dollars developing and manufacturing cow mats that meet the specific requirements of today’s dairymen and all the technological advances in the industry today. 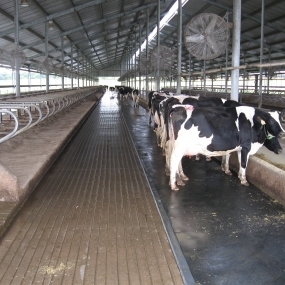 Animat’s cow mats for dairy cow provides optimal comfort for your herd. 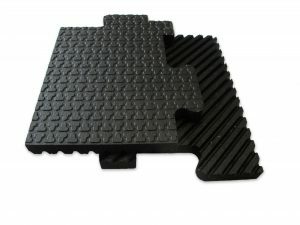 It also offers the best quality/price ratio on the market due to the unique design, product research and development, and manufacturing techniques utilized at Animat. 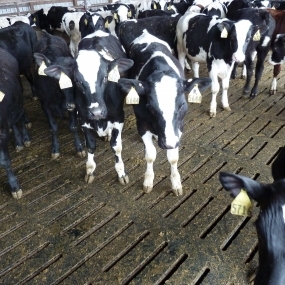 The cow mats provide unparalleled comfort for your dairy herd and are the one product that comes closest to replicating the natural conditions found in pastures. 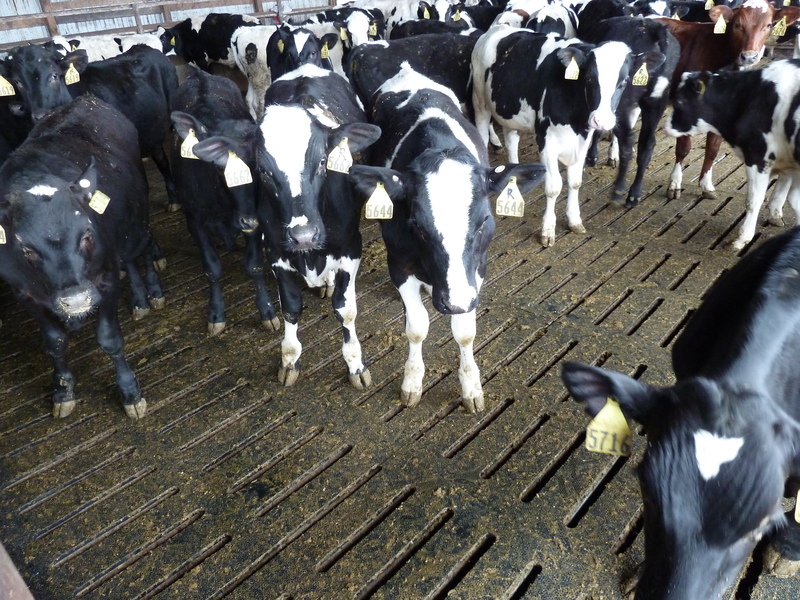 Animat’s exclusive non-slip surface offers increased traction and superior cow comfort, even when wet, to allow your cows to maintain a natural sure-footed gait. 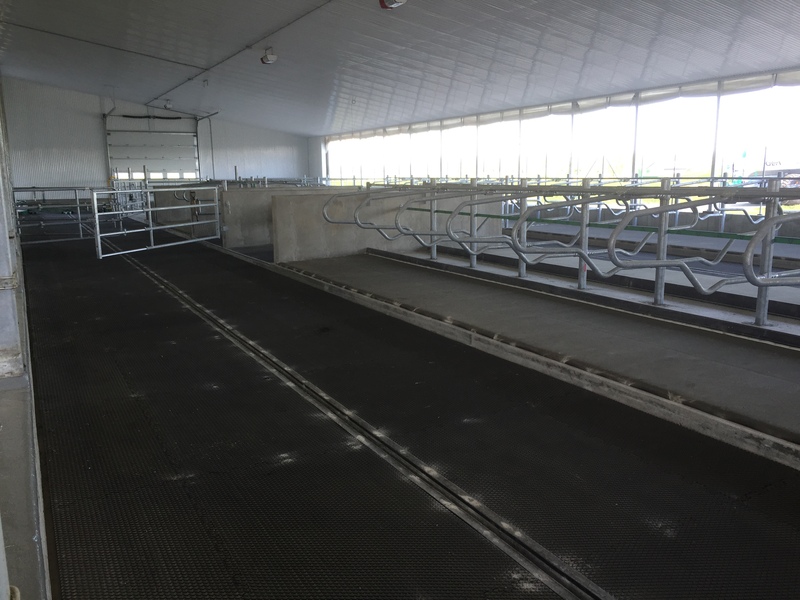 Significantly decreases the stress associated with moving about. 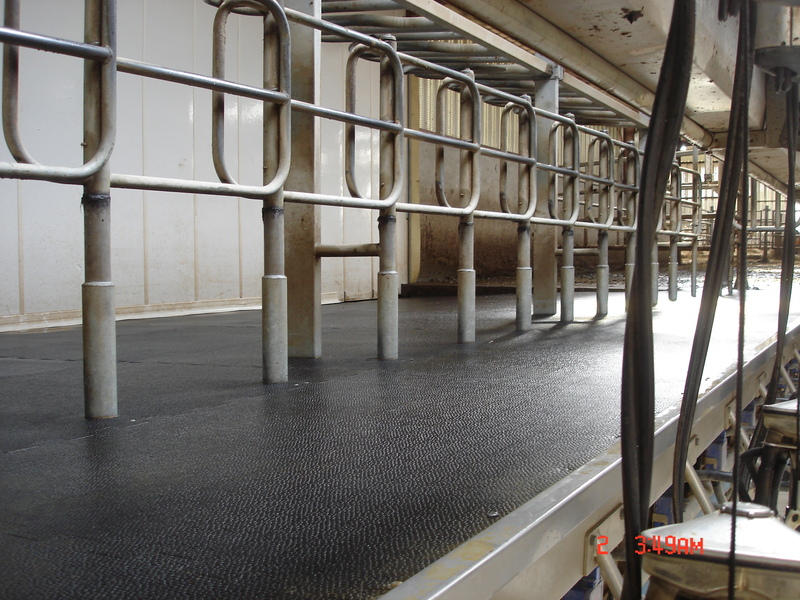 Using the rubber flooring System can significantly decrease slippage and falls in the herd and reduces serious injuries related to these events. 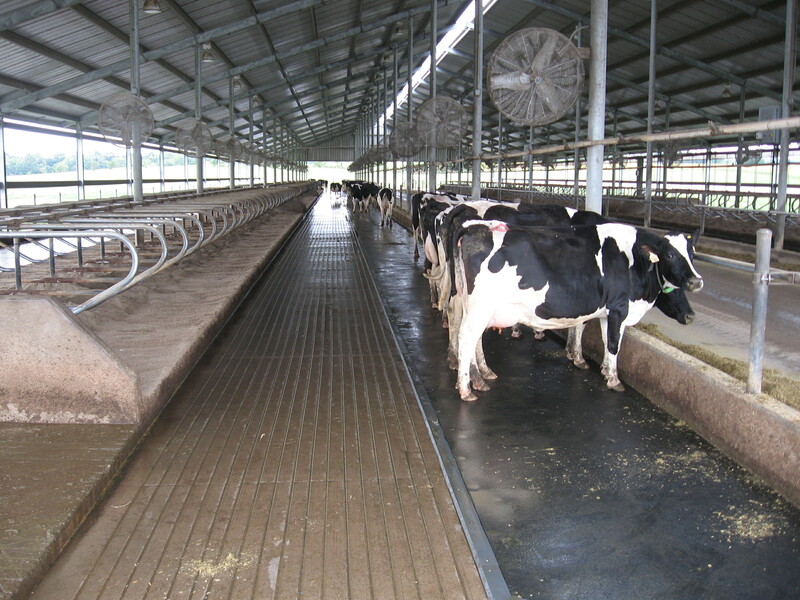 Animat cow mats are non-porous and made of 100% recycled rubber, making it very stable and easy to clean and disinfect for a healthy environment. 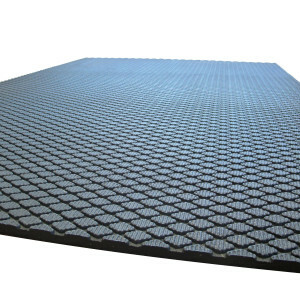 Unlike concrete, and sand bed, stall mats don’t absorb liquid or promote the development of bacteria and adapts well to all existing cleaning methods like flushing, alley scrapers, rubber tire scraping and more. 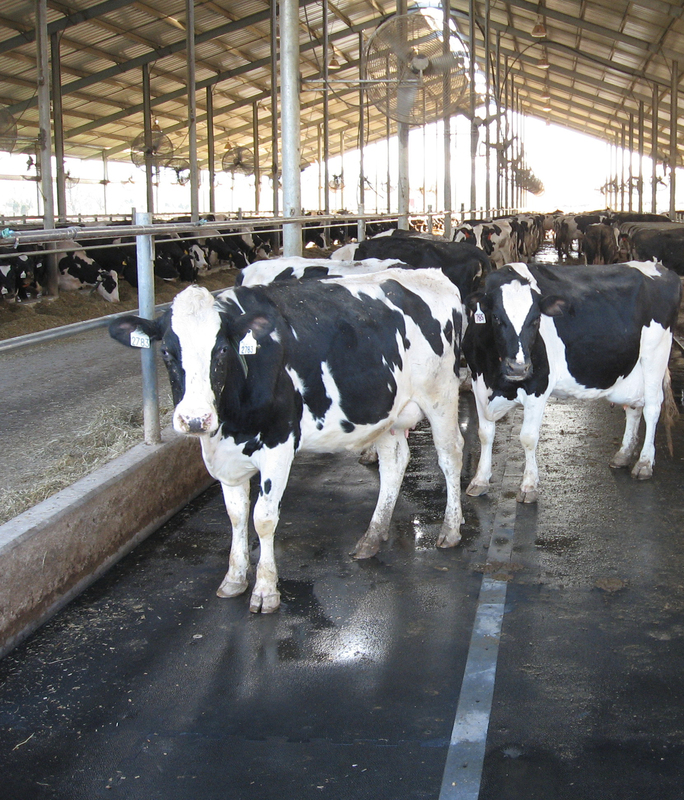 Accurate heat detection is a major element in the management of dairy herds and an ongoing concern of all modern dairymen. 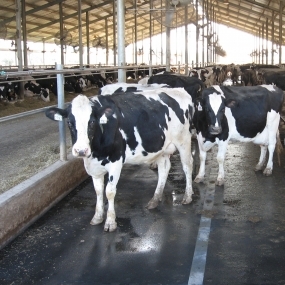 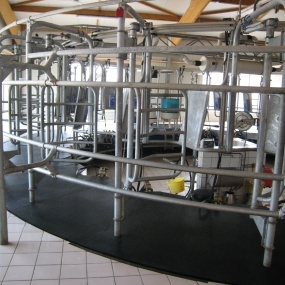 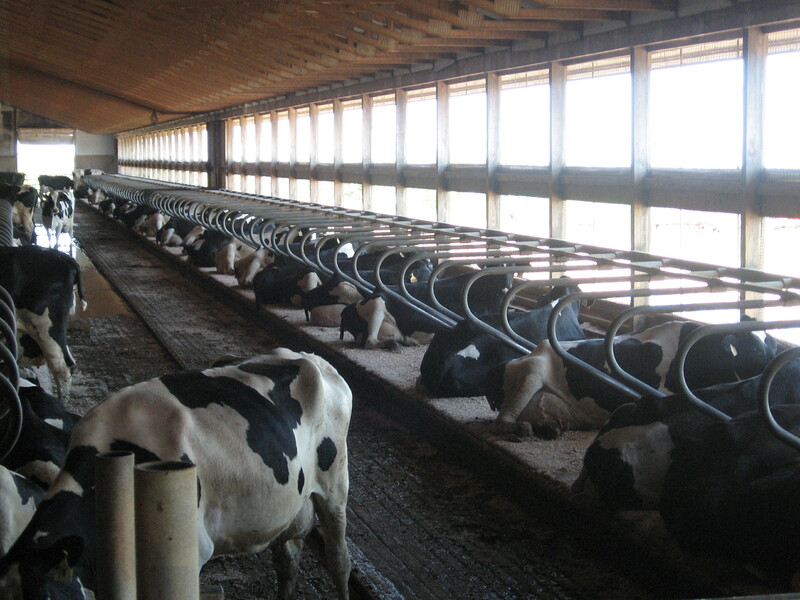 Unlike concrete surfaces, Animat’s rubber flooring utilizes an exclusive non-slip surface which helps dairy cows feel secure and allows them to show strong natural heats. 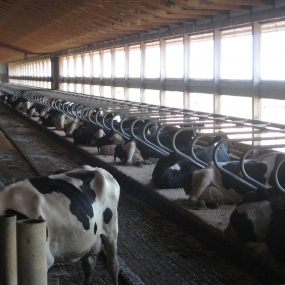 This is critical if your heat detection is done by visually observing heats. 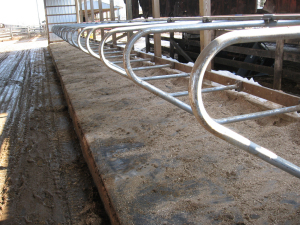 Removing stress associated with mounting can effectively increase your conception ratio since heats appear stronger and are easier to detect. 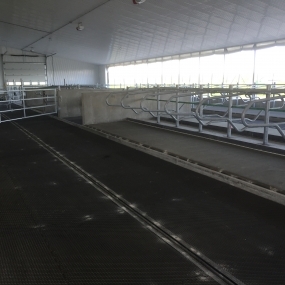 For the above reasons and more, the Animat cow mats can be the most cost-effective investment you can make for your dairy. 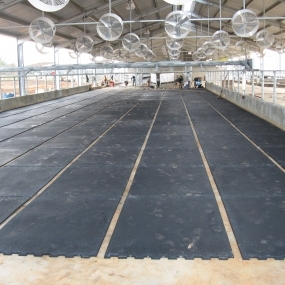 Animat is a well-known Canadian company that has specialized in the design and manufacture of recycled rubber flooring for the last 30 years. 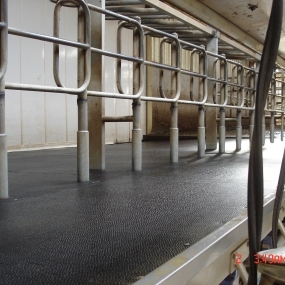 Our flooring has various uses in the dairy and horse industries and as anti-fatigue mats and floor protection in commercial and industrial areas. 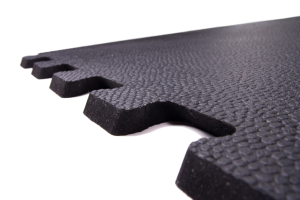 © Animat Inc, All rights reserved.